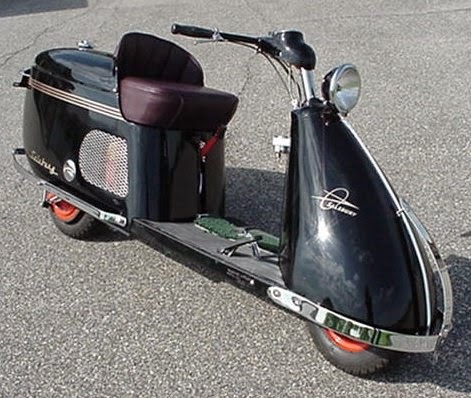 The classic scooter design features a step-through frame and a flat floorboard for the rider's feet. 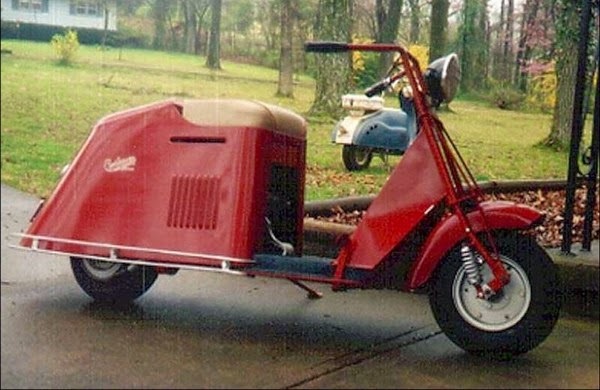 This design is possible because most scooter engines and drive systems are attached to the rear axle or under the seat. Scooter-like traits began to develop in motorcycle designs around the 1900s in Europe. It turns out that in America also produce scooters in the period 1936 to 1965. Here are some scooters are manufactured in America. The first generation of scooters in America began with the advent of Salsbury manufacturer in 1936 in California founded by two Englishmen, namely E. Foster Salsbury and Austin Elmore. They develop a scooter design with a seat in the upper body frame, engine protected by body and applying CVT (Countinously Variable Transmission) drive. The company began producing scooters in 1938, then the Salisbury Model 85 became a reference design for other scooter manufacturers such as Powell, Moto-Scoot, Cushman, Rock-Ola even Piaggio and others. But unfortunately the scooter manufacturer stopped production in 1948. Beside Salsbury, there are other players who is quite famous in America, namely Cushman Motor Works which made the Auto Glide scooter. At first, the company is a designer as well as a common vehicle machinery factory. 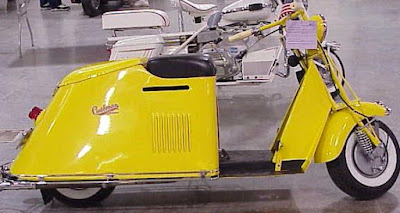 In early development, Cushman tried to offer their scooter engine to Salisbury Motor Glide. But for some reason the Salisbury refused, so finally Cushman try to develop and produce their own scooter design. In the promotion, Cushman claimed that their Auto Glide products more fuel efficient than the Motor Glide. Auto Glide also initiating new technology of the day, namely the centrifugal clutch (like motorcycle today that uses) which is more advanced than the Cut model that contained in the Motor Glide. 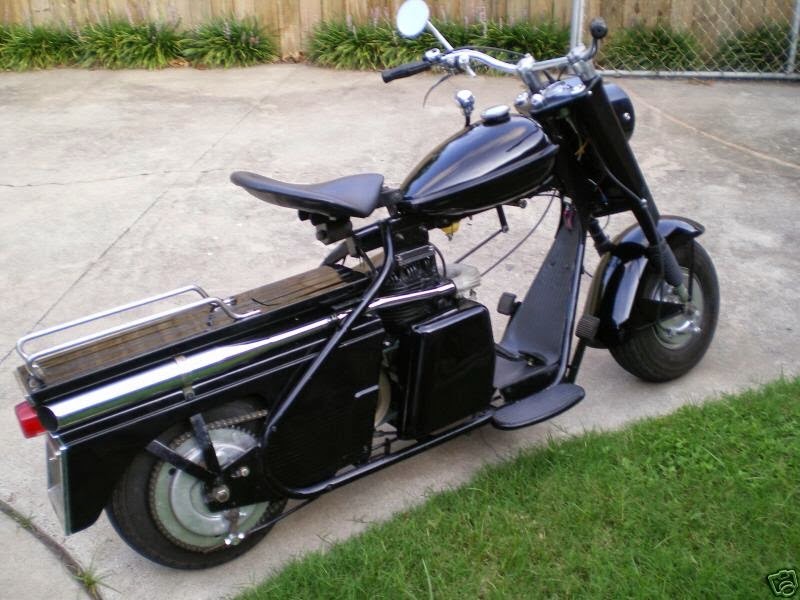 Cushman Auto Glide then won the US military market by developing a military version of the scooter that can be deployed from a military cargo plane with a parachute. This model successfully attract the Department of Defense with the label of Cushman Airborne. 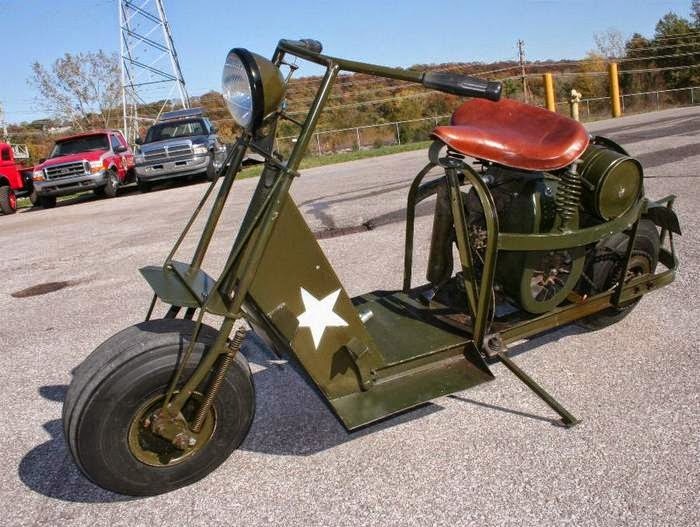 The military version of the scooter success in the Europe at WW2. Excellent agility and capability on the battlefield. An extraordinary ability shown by this scooter on the European battlefield, and made it a source of inspiration for Piaggio. 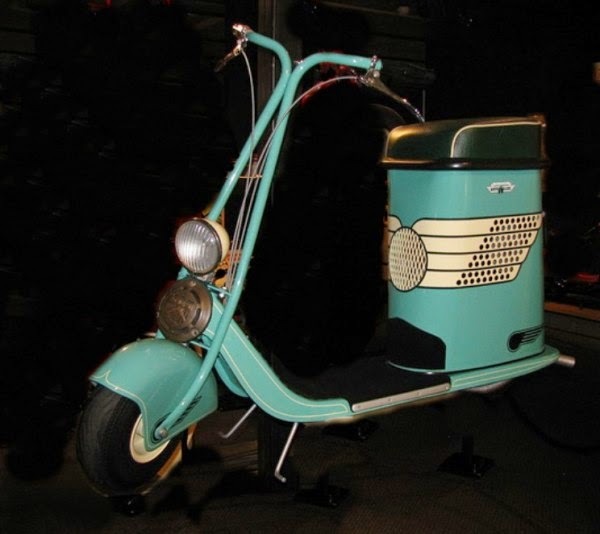 From the model Piaggio applied to their initial scooters design. In the end, Piaggio's scooter known as Vespa have become the most popular scooter in the world until today. 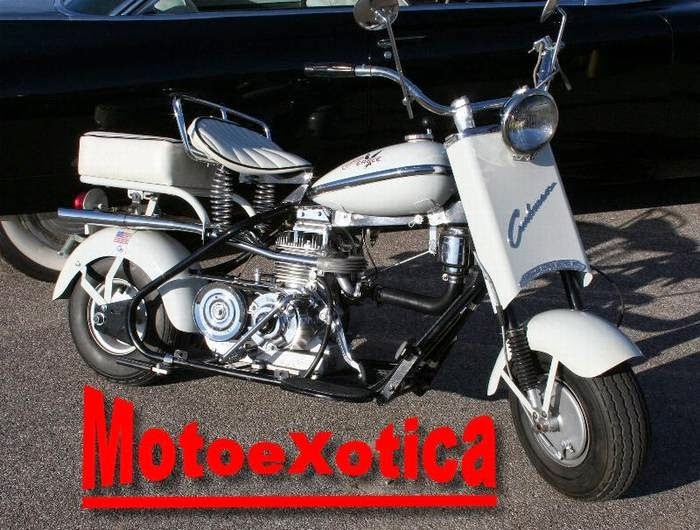 Cushman noted to produce many motor vehicle during the period of the 50s until 60s, ranging from Cushman Super Eagle, Cushman Scooter Husky, Cushman Pacemaker and others. After then Cushman officially stops their scooter products in 1965.